Have we British started to make our own pasta sauce? It must be true, as the sales of ready-made sauces have fallen by more than £30 million in a year, after warnings they were unhealthy. I hope so, but I somehow doubt it! From pasta sauces to curry, to Chinese to Tex Mex, the food press is reporting that sales across the entire sauce category dropped by almost 4% last year to £777 million. It all follows concerns about high levels of sugar, salt and fat in processed food. 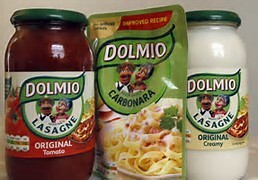 The Dolmio range, (not that I ever buy them), owned by Mars, advised its customers last April against eating some of their products, including lasagne sauces and pesto, more than once a week. And now is seems that we Brits have taken the company at its word, with Dolmio sales falling by almost 8% or £10 million. The Dolmio announcement was part of a wider drive to improve the brand's products, with Mars pledging to reduce salt levels by 20 per cent by 2021 and cut the amount of added sugar by 2018. Sadly, some supermarkets seem to be a lot slower in improving their own brand products. The food press reports that a snapshot survey this week found supermarket own brand pasta sauces to have more sugar in them than the big brands. Now I know why pasta sauces were on offer in most of the major supermarkets last weekend! It seems then that sales have been dramatically affected by a general UK trend towards cooking from scratch (I hope so! 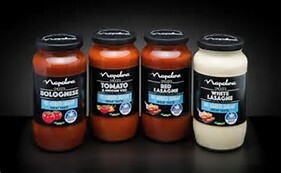 ), as sales of ready-made sauces have fallen for six years in a row. Some of this will be due to the new advice limiting consumption of certain products to not more than once a week. 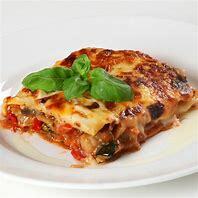 I must admit to using a ready-made pasta sauce from time to time, especially when our home-made sauce, made from our own home-grown tomatoes has run out, although I did made a lasagne last week from scratch! If I use a ready-made sauce then I buy the 'real' Italian variety, Napolina. This authentic sauce producer has already introduced a 'no added sugar' range and although it is more expensive than the supermarket sauces, it tastes great and is a lot healthier. 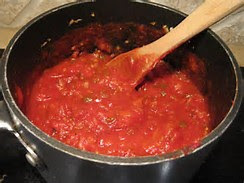 Why not try it - when you are not making pasta sauce from scratch that is!